StartLife Accelerate is the #1 program in The Netherlands supporting Food & Agtech startups to validate customer segments, raise funding and access leading corporates and investors in the industry. The best trainers, entrepreneurs, and Wageningen University & Research experts offer you the resources you need to scale up your company. The deadline to apply for the Spring 2019 cohort is March 4th, 2019. StartLife Accelerate is a 12-week program for the most promising food & agtech startups, that offers pre-seed funding, business support and access to leading corporates and investors. 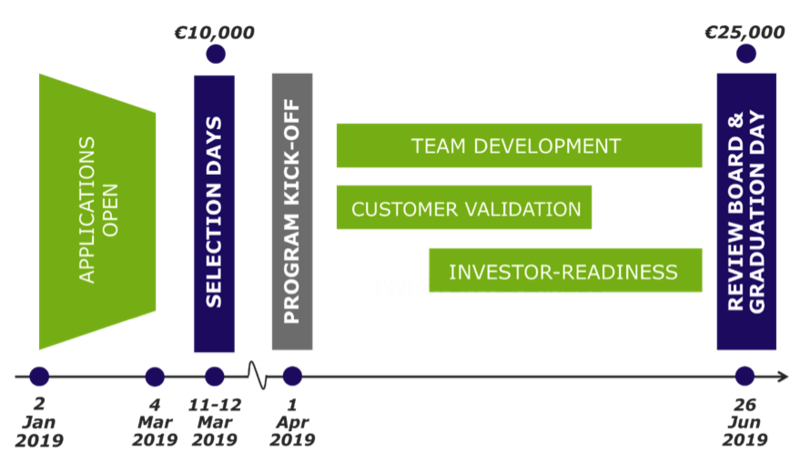 The StartLife Accelerate curriculum addresses what is crucial to validate your business, attract funding and grow your company. Have the ambition to scale and grow fast.